New technological possibilities have initiated the turnaround. 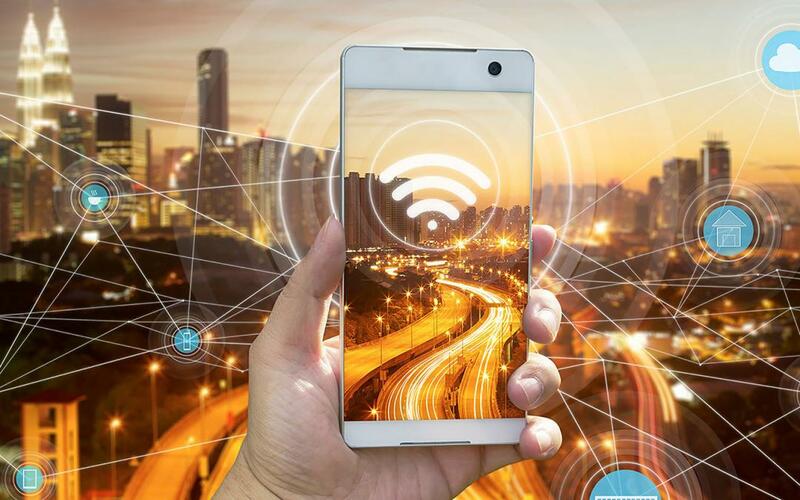 Wi-Fi networks are becoming a marketing and sales tool that will not only recoup the costs of doing so, but will also provide businesses with attractive usage and business opportunities. Already, eight times as many users are using their mobile devices via Wi-Fi networks to the Internet than through the networks of mobile operators. Trend clearly rising. One of the reasons for this is the growing number of public and private Wi-Fi hotspots: By 2020, the world’s public Wi-Fi hotspot population is set to reach 432 million – seven times more than in 2015 at 64 million. The EU also supports the establishment of free public Wi-Fi hotspots. With the current WiFi4EU initiative alone, 120 million euros will be distributed to municipalities and cities wishing to set up a public Wi-Fi. In the course of the city barometer carried out by Sora on behalf of the Austrian Cities Association in 2017, around 30 percent of Internet users in Austria stated that they would use Wi-Fi in public areas at least once a day. “Consumers are gaining free Wi-Fi and businesses are not missing out on this trend, and too many companies still see the provision of free Wi-Fi as a necessary evil, overlooking their marketing and sales opportunities Being available to operators over Wi-Fi networks would be worth gold – they would evaluate them and use them for their business models and their customer communications – intelligently planned and managed Wi-Fi networks are recouping the costs they generate and also providing clear coverage added business value, “explains Urbanek. a. The Zell am See ski area offers free Wi-Fi in each gondola and six so-called Jukeboxx cabins, where passengers can select and listen to their favorite music via their smartphone. b. The public Wi-Fi access points of the city of Innsbruck offer citizens and visitors location-specific information and free access to the Internet. The Wi-Fi points can be found in public squares, in recreational areas and on the Patscherkofel cable car. Users of the free Internet access will be shown a landing page, which will provide you with important information about the area, such as restaurants, shopping, events, etc. The city marketing has integrated into the system bannermanagement the ability to integrate different partners in different Wi-Fi locations. The administration is convenient due to the functionality of the banner management – central banner management, banner scores, time control, activation of banners by location, recording and evaluation of views and clicks. In addition, various analyzes are available to support planning and control. a. The bus fleet of the Ötztaler Verkehrsbetriebe is equipped with a vehicle type-independent “all-in-one box”. This gives passengers location-based information directly on their mobile device, such as the weather in the region, upcoming events or opening hours of the traders. The operator benefits from the sensor access to the vehicle and the ability to locate the vehicle along the route. b. The cabins of the urban cable car network of La Paz are equipped with a Mobility Communication System. In addition to Wi-Fi access for passengers, this system also has an emergency and intercom system with emergency call function, a security cam and a control unit for the autonomous power supply of the units, inter alia, by means of a solar panel. The city also benefits from the real-time analysis of waiting times. a. A retail chain with 155 branches in nine different countries across Europe offers its customers free Wi-Fi in its branches. Customers are shown an information platform on the mobile device. It offers real-time information about the product range, product demonstrations, but also an online price comparison, a direct ordering option (multi-channel) and free internet. This location based service is adapted to the respective location of the branch and the country. The operator benefits from the diverse analyzes and reports he receives via the network. b. CORIO, an operator of shopping centers, offers visitors to its shopping malls free internet access and information, offers, etc. depending on the respective location via a landing page. The operator can address his user groups in a personalized way (user profiling) and evaluate customer behavior and movement flows. The city of Vienna offers digital citizen information and services via its city WLAN and uses the network as a communication channel in city marketing. The movement patterns of the users are analyzed and used for the development and provision of new offers. 5. Amusement parks, museums, etc. For the operators of amusement parks, museums, etc., a WLAN network offers the opportunity to specifically control customer communication and loyalty. They can provide indoor navigation and visitor-related information, and even benefit from customer streaming analytics and marketing offerings. “The demand for Smart City and IoT solutions is growing, with cities and municipalities increasingly investing in this area over the next few years, requiring reliable and experienced partners with the necessary know-how LOOP21 celebrates in This decade marks the tenth anniversary of our ten years of experience, proving that we are a stable and competent partner to companies and the public sector, bringing our experience gained in countless national and international, successfully completed contracts to our projects We distinguish ourselves through our customer orientation, “says Urbanek.